There are only a few days left in this year – most people I know are cheering. Are you ready to put the year behind you? Looking forward to starting the near year? I suggest that you use the time between Christmas and January 1 to close the year. What’s not so important anymore; to start or finish? I cross these items off the list. Buh-bye! What’s started, but unfinished, and still important to you? Circle these items in one colour. 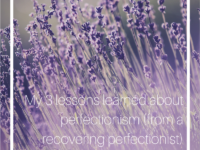 What’s untouched and still important to you? Circle these items in another colour. What do you have time to finish this week? Notice I didn’t say start. Put a star next to those items and put them on your schedule. Remember the goal here is to finish the year. So only start/finish tasks this week that you can get completely done before January 1. Be realistic with your time. Put the rest of your list on a sticky note(s) and place it in your new agenda. You’ll use the list for your annual goal setting and planning the year. 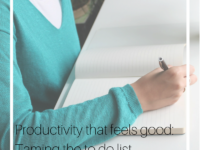 This new list only contains the carry over tasks/goals that are still important to you – both the in-progress and not-started. Remember those items you crossed off because you decided they were no longer important? These are things that are no longer a priority for you. Transfer them onto a nice big piece of paper. What’s one thing I wish would have turned out better? Take a minute and really reread what you wrote, because it’s time to let it all go. Title the page: I release. To really let go of these things, I like to burn the paper they are written on. In the past, I’ve also burned journals or my day timer for the year. (Be smart: be safe when burning items.) This burning might be the only thing you need to do. Or you might need to do more journaling, meditating, yoga, Reiki and burning. It’s impossible for me to de-clutter the entire house in a few days. So I strategically pick places/things to focus my time – the key is to do the activity and finish it before January 1. In previous years, my picks have included: the fridge, pantry, storage room, main coat closet, or office paperwork. Try to pick a place or thing that will make a noticeable difference in your day to day. I declutter the area first and then really scrub it clean. I want to see it sparkle. And I want to see the garbage can full and the to-donate pile nice and high. Anything to be thrown out or donated needs to leave my house before January 1. The goal is to see lots of available space and cleanliness. Why do I “close the year”? It’s hard to start something new when you are still in the past. And closing the year helps me feel like there is a definite end. I’ve carried over the important things so there’s no need to look back. Making space in my calendar and my physical space makes sure that I have the brain space and the physical space for the all the new that I’m going to create AND welcome into my world. It’s only once I’ve closed the year that I can start planning the year ahead – and that’s why my carried over tasks/to-dos are on a sticky note in my new planner. But before you can start setting goals and making plans, I recommend you get clear on what you’re after. Check out that blog post here. More on goal setting and planning later, I pinkie promise. 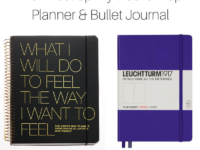 Until then, check out my favourite planner here. 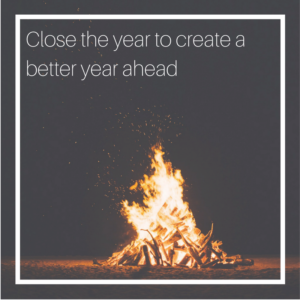 Want more about planning your best year ever? 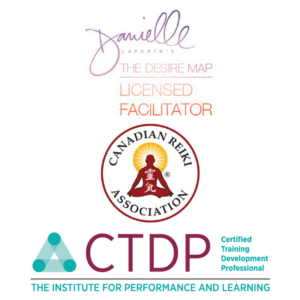 You might want to join me for a The Desire Map workshop. Check out my calendar of upcoming classes here. Learn more about The Desire Map here or you could purchase the book here. Have you ever closed a year? What have you done? How does it benefit you? Leave me a comment below. I’m listening. « What is Reiki? How does it work? And what does it do?